When you install an auxiliary battery, you have a few different options. Since your truck has an extra battery slot, you don’t have to worry about positioning. For people who aren’t that lucky, they’ll have to start off by deciding where to install the second battery in the first place. In your case, with the battery already in place, you can either wire it into your electrical system or leave it disconnected and just connect a 12-volt socket directly to it. Either way will work, and it’s really just up to you as to how much work you want to do and what you’re looking for in a finished product. First of all, we’d like to start with a brief caution about actually wiring your new deep cycle battery into the electrical system. There are two major issues to consider: deep cycle batteries aren’t designed to operate on a “shallow cycle” like starting batteries are, and your electronics won’t differentiate between the deep cycle and starting batteries if both are hooked up. With that in mind, you may want to hook up both of your batteries with cutoff switches. It’s ok to have both batteries connected at one, so long as they are wired in parallel, but having two cutoff switches will give you more control. The reason they need to be wired in parallel is due to the way that voltage and current work in parallel versus series circuits. If you wire the batteries in series, you’ll end up with a total of 24 volts DC, and the electrical system is designed to run on 12-14 volts or thereabouts, so it’s easy to see how that could cause an issue. With the batteries wired in parallel, the voltages of the batteries will not be added together. 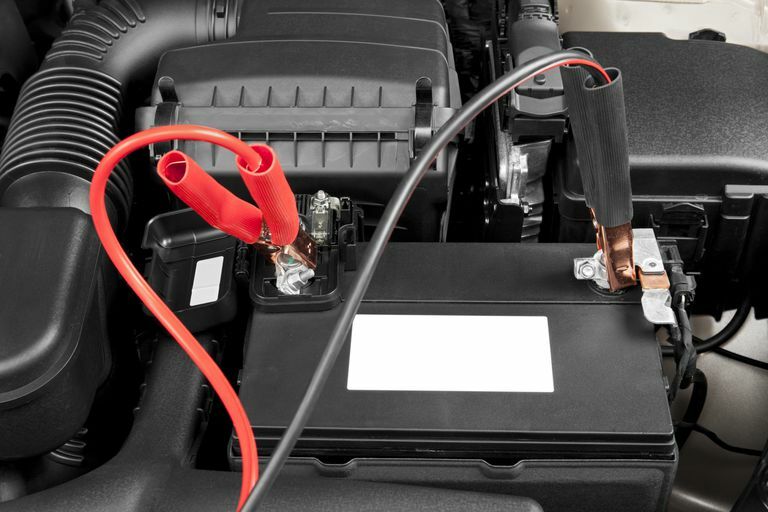 If you use cutoff switches, then you can disconnect your starting battery when you are camping, and the electrical system will only draw down on the deep cycle battery. Then you can activate the deep cycle cutoff switch when you start and drive the vehicle normally since the deep cycle battery isn’t designed for that kind of shallow cycle operation. If you choose to go this way, then you can just use a 12-volt socket extender to get power to wherever you need it at your campsite. There really isn’t anything special or difficult about wiring a cigarette lighter to a battery, in fact. Should you decide to go the DIY route, you can simply choose any cigarette lighter socket you like, connect wires or an appropriate gauge, and then connect the wires to the battery (negative to negative and positive to positive.) For an easy connection, you can use alligator clamps. For a more permanent connection, you can actually pick up some replacement battery terminal clamps and wire them to your cigarette lighter or 12-volt accessory socket. The main thing to keep in mind is that it is much safer if you wire a fuse into the circuit that you have created. That way, if something goes wrong, the fuse will blow, which is a lot easier to deal with than a campsite that has suddenly caught on fire due to a shorted out a cigarette lighter and an exploding battery. cigarette lighter and an exploding battery. Commercial products also exist that can perform this exact function if you don’t have the time or temperament for this type of DIY project. They are typically referred to as “clip on cigarette lighter adapters,” and they simply consist of a cigarette lighter socket that is wired to a pair of alligator clips. Of course, it’s worth noting that if your endgame is to plug in an inverter, you’re probably going to be better off wiring the inverter directly to the battery instead of messing around with a cigarette lighter socket as a middleman. If all you want to plug in is a cell phone charger, or other similar 12 volt accessories, then a cigarette lighter socket is what you want. If an inverter is what you’re looking for, then connecting it directly to the battery will be your best bet.